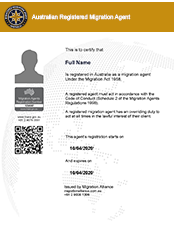 Legal Training Australia is an Approved Provider for the purpose of Registered Migration Agents CPD. From 1 January 2018, the Office of the MARA require that Registered Migration Agents complete 10 CPD points every year for re-registration purposes. It is compulsory that five (5) of these CPD Points be from Category A Activities. We have prepared a comprehensive summary of how migration agents must earn their points on our 'MARA CPD requirements' page. This page includes a convenient graph and 10 points tally. New RMAs in their first year of their registration are required to complete the Practice Ready Program. This must be at least 30 hours. Successful completion of the PRP is worth 10 CPD points. All CPD offered by LTA complies with local Law Society requirements (except for WA). Practitioners should ensure that individual Law Society requirements regarding mandatory subjects are met and should verify those requirements with their local Law Institute or Law Society. 1. Complete the online application form - answering all questions, and upload a passport sized photograph (if your OMARA profile does not display a photograph). 2. Submit the completed application, together with payment of fees.